Merely squash -- a side dish. I baked my wedges for 32 minutes. Easy enough to “char” my defrosted corn on the stove top. 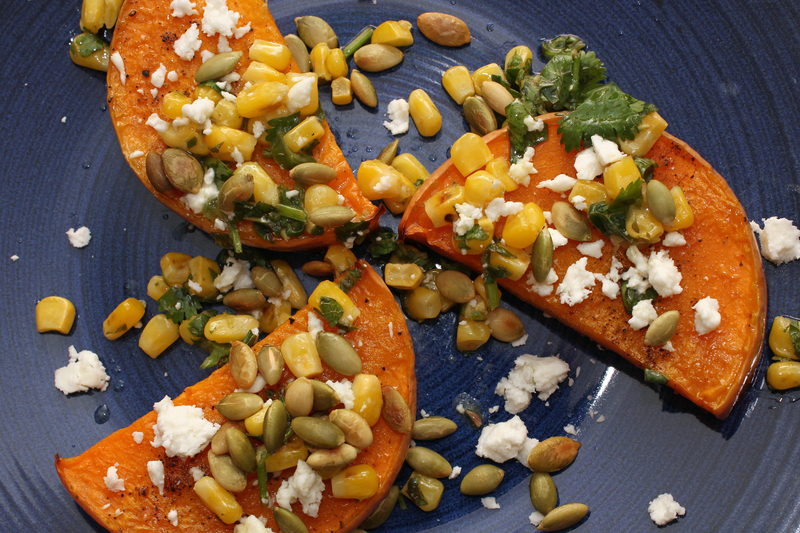 We win with the Ottolenghi layers: sweet squash + corn + salty, chunky feta + crispy toasted seeds + tart lime + herbal greens. See how it happens? A fantastic piece, how more and more, layers and layers, makes a fine dish. Next week, I’ll try the “Spiced ‘Shepherd’s Pie’ with Lima Bean Crust,” from Ottolenghi Simple.